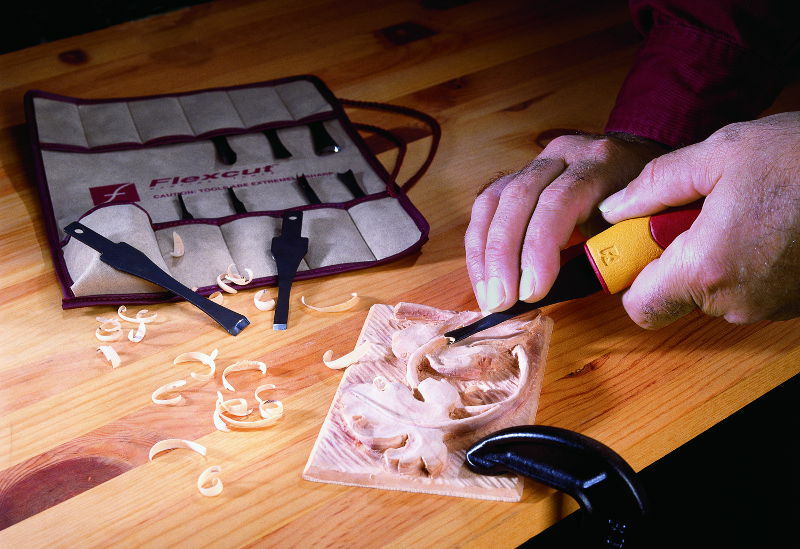 In 1992 Flexcut began manufacturing a new breed of wood carving tools to address the needs of the modern hobbyist and professional. Carving tool design had not changed much since the industrial revolution, although the people practicing woodcarving did. 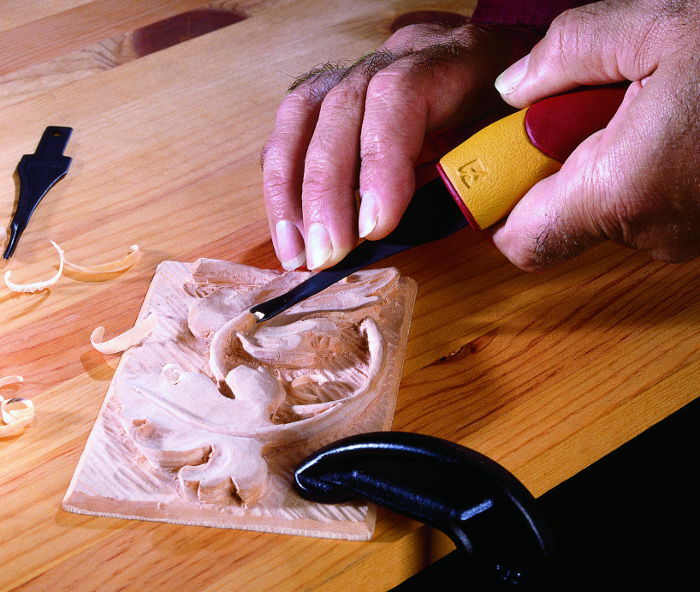 Designed with an intimate knowledge of woodcarving itself, this new innovation has grown in popularity and variety. These compact tools are great for traveling. 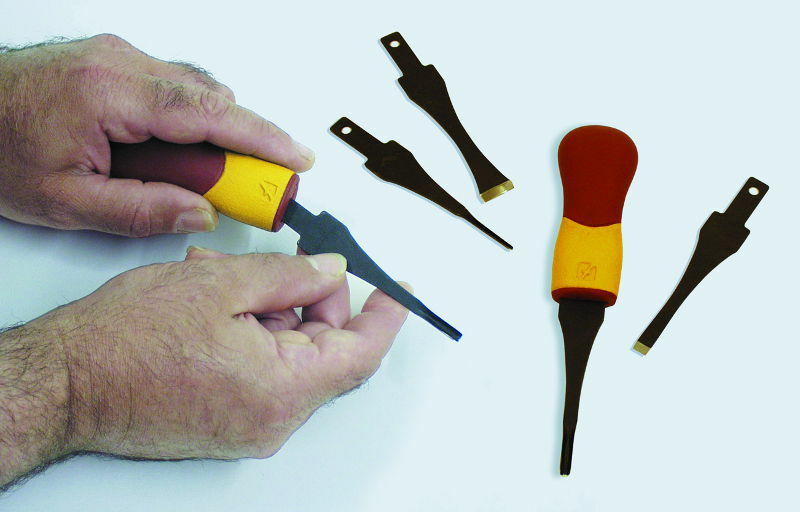 Designed in conjunction with the QC (quick connect) handles, they can be used by hand or with any number of reciprocating power carvers. The 3 handle options allow them to be used for small details or light mallet work for roughing out. 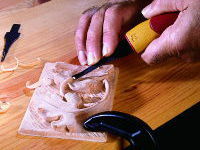 includes everything you will need to get started in the rewarding world of woodcarving. Comes with 16-page manual and Instructional DVD. The boot blank 85 x 70 x 25 mm can be finished with the tools included. This entry level tool set comes with the Flexcut quick connect ABS handle. 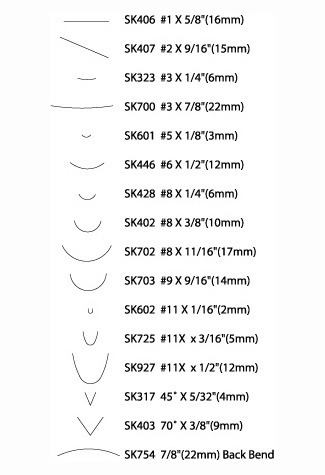 The 4 interchangeable blades and instruction manual are enough to complete the carving blank included. 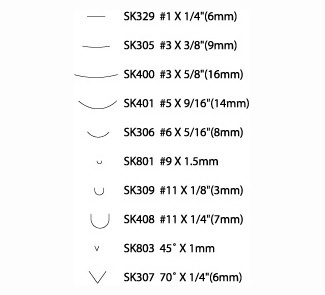 Additional tools can be supplemented to the 10 pocket tool roll to create your own custom set. This entry level tool set comes with 10 interchangeable blades and the quick connect ABS handle. They also have the advantage of being used with most reciprocating power carvers. 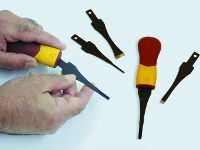 Rolled up, this set is very portable and the tool selection will fit most carving applications. This Deluxe Starter Set has everything a new wood carver needs. It includes 16 interchangeable blades, cutting knife, quick connect handle and a mallet power handle. There's also a SlipStrop, gold compound and an owner's manual showing how to care for your tools. Plus you'll find a free step-by-step DVD for a great first project. This is the most complete carving set all in one box. It has everything you need, whether it be for mallet, palm or knife carving. There is even a place to store an optional Universal Adapter for using these tools with your reciprocating power carver.